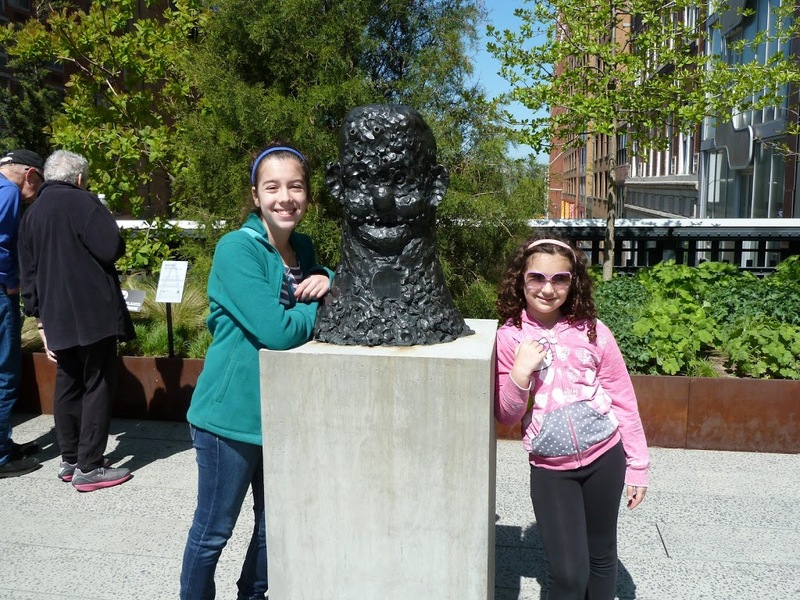 After discovering the High Line in Manhattan with our French cousins a couple of weeks ago, I was eager to introduce the girls and my husband to this oasis in the city. We woke up to a beautiful morning – the perfect day for a little adventure. Chloe didn’t realize that we were actually going to be walking on a elevated outdoor walkway; she was expecting some sort of boring enclosed passage between two skyscrapers (would I really do that to her?). So when we climbed the stairs to reach the beginning of the park, she was pleasantly surprised. Her camera got a lot of use today – she loves to take photos of plants and flowers. 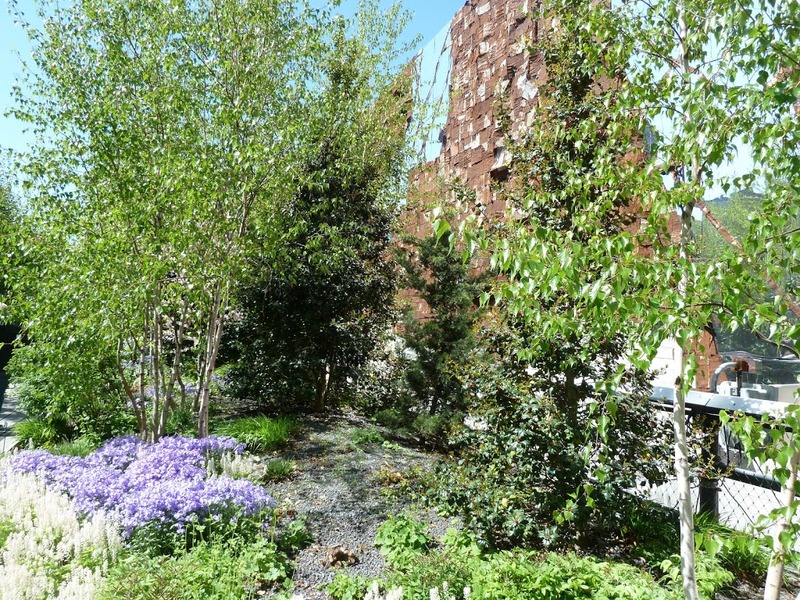 And the High Line is a feast of greenery and color this time of year. She exclaimed at one point that the park was definitely one of her new favorite places in the city. 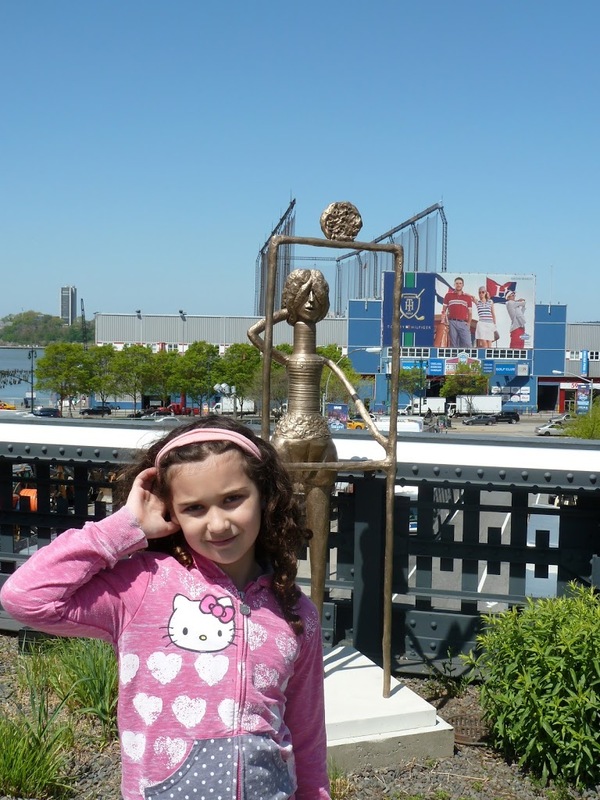 Even Sophie, who normally can’t stand Manhattan because “it smells bad,” was like a kid in a candy shop, posing for the camera at every opportunity, and loving the flowers and the sudden appearance of a different work of art every few hundred feet. The park was plenty crowded, even for a Sunday morning. The walkway was filled with foreign tourists and stubborn New Yorkers determined to jog on the path in spite of all the human obstacles in their way. 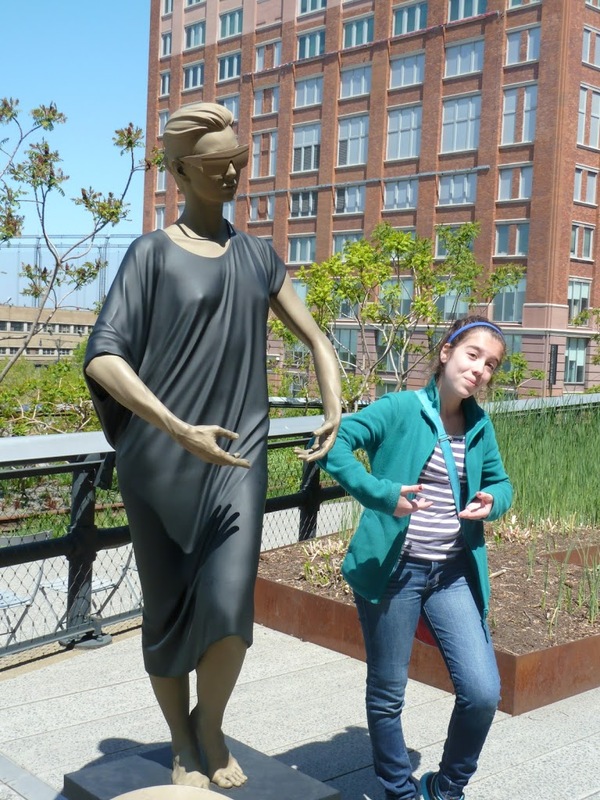 It’s amazing how just ten days changes the whole look of the High Line; when I first visited it with my cousins, the leaves on the trees were just starting to appear and there were hardly any flowers. On display today, however, was a veritable feast of color. It almost felt as if I was exploring the park for the first time. After walking the span, we made our way to Chelsea Market for lunch, a veritable feast of food. This part of our day admittedly was not as relaxing. None of us is particularly patient when there are too many choices and too many people, especially Sophie and me. She was not happy with her lunch (how dare a pizza margherita not have cheese? ), but she felt better after indulging on a delicious chocolate and strawberry crepe. And in continuation of her Boston quest for coins, she added another $0.23 to her collection of found money today. Not bad for a day’s work.